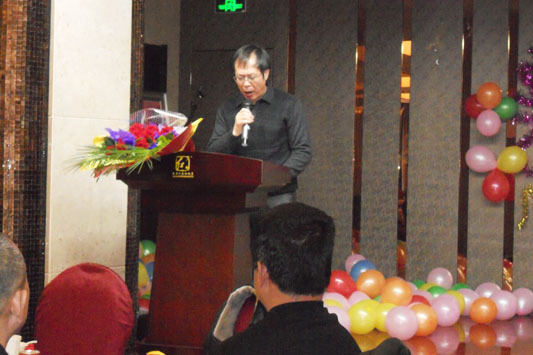 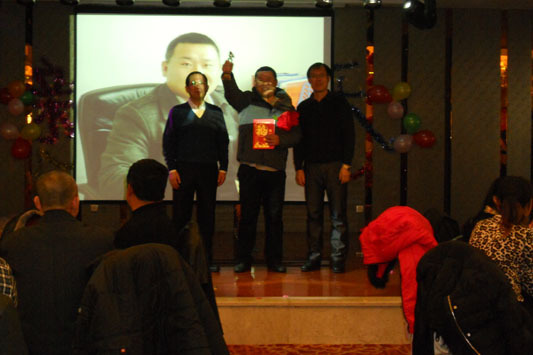 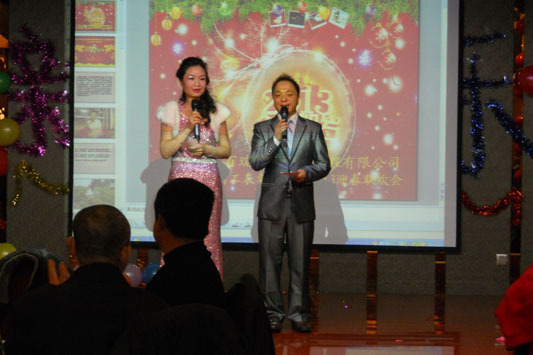 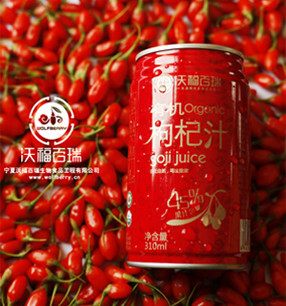 In January 23th 2013, in Ningxia Juli Liupanhong Hotel, Wolfberry Company held the 2013 New Year Festival Celebration. 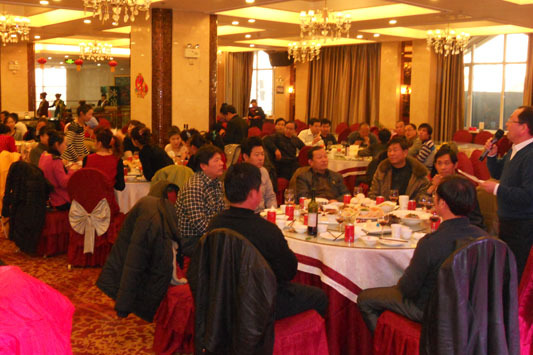 All of Wolfberry Company employees gathered together to celebrate the new year. 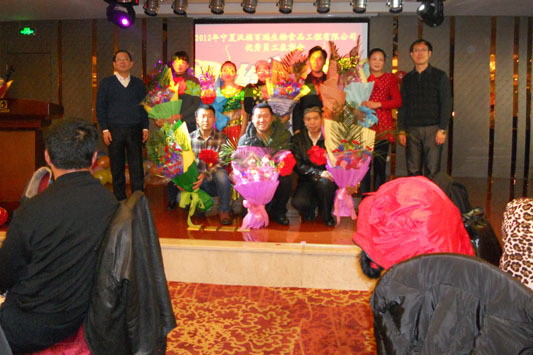 In this Celebration, company chairman, Mr. Pan Taian, rewarded 8 outstanding employees and announced sales and development plan of 2013. 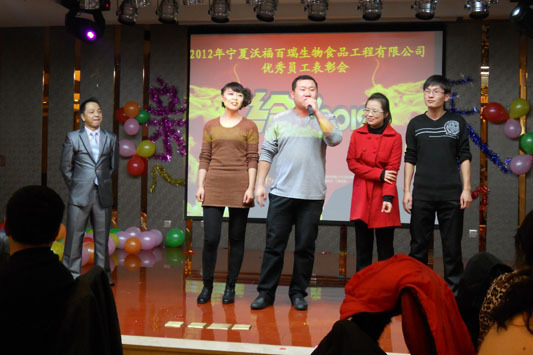 Then, every department put on their performances including singing songs, dancing, short sketch, etc. 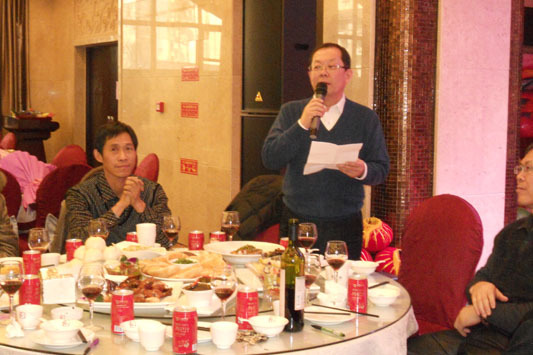 During the banquet, many interesting games made people more excited. 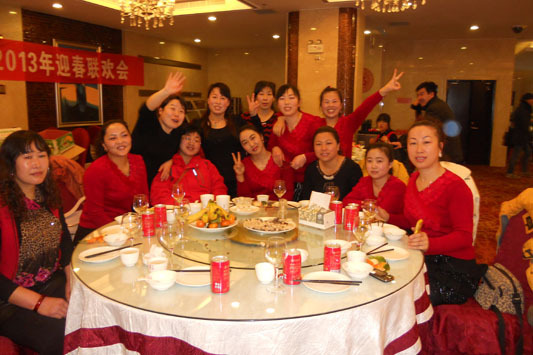 Everyone got through a unforgettable and happy day.